In a recent judgment, Punjab and Haryana High Court has held that a woman doctor can't be debarred from joining the Army Medical Corps (AMC) just because she became pregnant during the course of the selection process. “By forcing a choice between bearing a child and employment, it interferes both, with her reproductive rights and her right to employment. Such an action can have no place in modern India,” Justice Harinder Singh Sidhu observed. The Court was hearing a petition demanding quashing of a letter which intimated the petitioner, Ms. Neetu Bala that she was unfit to join service, despite the issue of an appointment letter. Ms. Bala had applied for grant of Short Service Commission in the Army Medical Corps. She successfully cleared the interview and was selected in the rank of Captain. The subsequent medical examination disclosed that she was seven months pregnant, but with no complications. She then received the impugned letter, informing her that she was unfit to join service. She requested that a vacancy be reserved for her so that she could join after delivering the child, but she received no response. She then petitioned the High Court. The respondents had contended that since Ms. Bala was not in a fit condition to be granted SSC and there being no provision for extension of date of joining, she could not be granted SSC Commission. 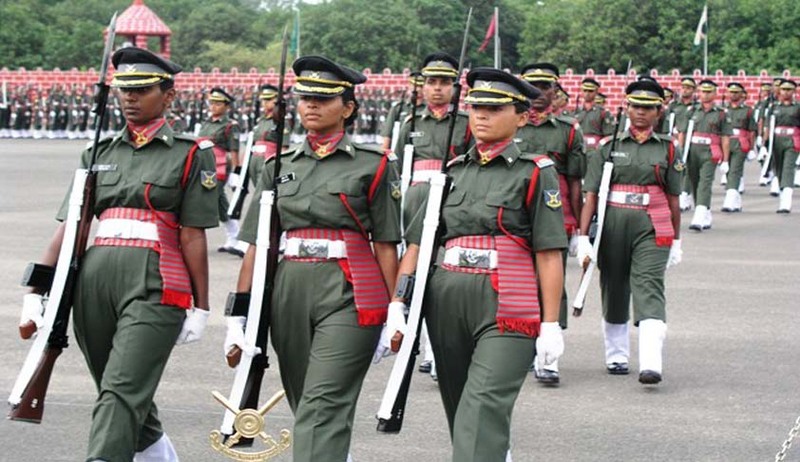 They relied on Army Instructions 75/78, which provided that all female candidates would be screened for pregnancy and detection of the same would render a candidate unfit for commissioning. They further contended that Ms. Bala, being seven months pregnant, was not in a position to undertake the training activities or service in field area, which is expected out of a newly commissioned Medical Officer. Furthermore, justifying the denial of Ms. Bala’s request to keep a post vacant for her, it was contended that as per the offer of appointment, no request of change of service, place of posting or extension of date of joining could be accepted. The vacancy which remains unsubscribed due to any reason is passed on the candidate next in the merit list prepared at the time of interview. The question to be considered by the Court was whether the denial of appointment to the petitioner holding her to be unfit solely on the account of pregnancy was legal and justified. The Court referred to Article 14 and 16 of the Constitution of India, to reiterate the settled position of law that where a married woman is not disqualified for appointment, the fact that she is pregnant, cannot be a disqualification for continuing with appointment. Nor can pregnancy, in such circumstances, be treated as a bar to be appointed. Justice Sidhu also referred to the Convention on the Elimination of all Forms of Discrimination against Women (CEDAW) and ILO: Maternity Protection Convention 2000. India has however, only ratified CEDAW. The Court laid special emphasis on Article 11 of CEDAW, which requires States/ parties to take all appropriate measures to eliminate discrimination against women in the field of employment. The Court referred to Article 8 and 9 of ILO: Maternity Protection Convention 2000. These provisions are concerned with ‘Employment Protection and Non Discrimination’. Article 8 makes it unlawful for an employer to terminate the employment of a woman during her pregnancy or absence on leave on that account except on grounds unrelated to the pregnancy or birth of the child and its consequences or nursing. Article 9 requires members to take measures to ensure that pregnancy does not constitute a source of discrimination in employment. Besides these, the Court also looked into several decisions rendered by English Courts and concluded that the action of the respondents was “arbitrary and illegal”, being violative of Articles 14 and 16 of the Constitution of India. The provision in the Army Instructions 75/78 which laid down that pregnancy would render a candidate unfit for commissioning was also illegal and unconstitutional. However, it could be left to the respondents to devise any appropriate procedure to either give appointment on selection and grant maternity leave or keep a vacancy reserved for Ms. Bala. They were directed to offer appointment to Ms. Bala within one month, in view of the fact that she had already given birth to the child in April last year.